Rock music has captured America’s imagination for decades, but there is a longstanding underbelly of the industry that no one ever seems to want to talk about. 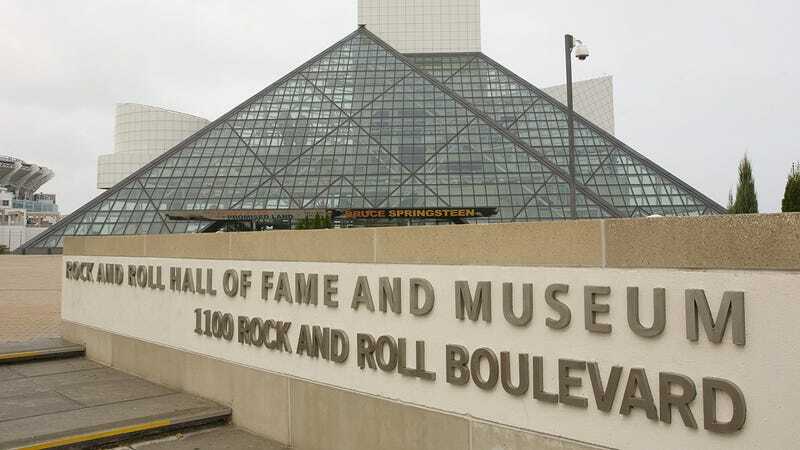 But now one major institution is opening a dialogue and righting a major wrong: The Rock and Roll Hall of Fame is removing every musician who used marijuana to help in writing their songs. “Marijuana can make the human brain over 100 times more likely to realize how beautiful the universe is, or how we all need to put down our guns and just love each other, which obviously gives a huge leg up to songwriters,” added Shaw. The list of musicians to be removed includes a great deal of beloved artists like Janis Joplin, Miles Davis, Beastie Boys, Bob Dylan, The Jimi Hendrix Experience, and dozens more. But the Hall of Fame’s board of directors is confident that visitors’ experience will be better than ever now that they know that each artist honored came by their achievements honestly. We have to agree: This is totally the right move on the part of the Rock and Roll Hall of Fame. Wow. It’s refreshing to see an institution like the Rock and Roll Hall of Fame make such a bold commitment to its principles. Hopefully, this will inspire a generation of musicians to use their minds—and not creativity-enhancing drugs—to inspire their art. We can’t wait to see which inspiring, sober artists get inducted this year!